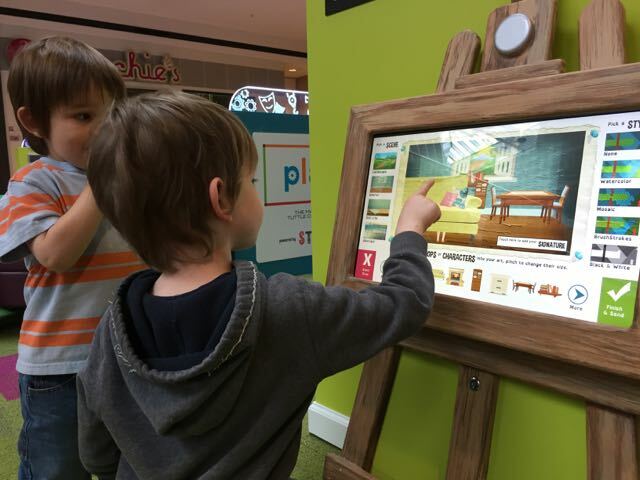 Play Places Archives | What Should We Do Today? 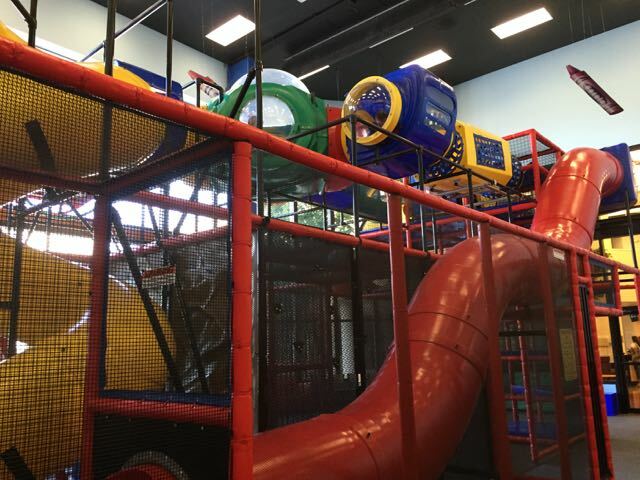 These indoor play areas around Ohio will give you lots of options for things to do with kids when traveling around the great state of Ohio! 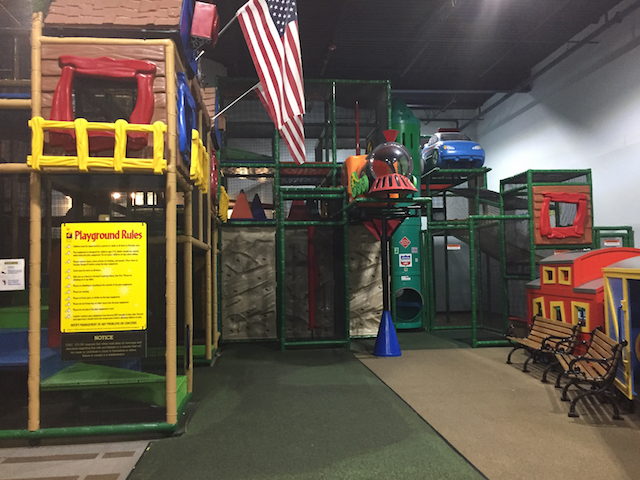 When traveling around Ohio with our kids, we have often found ourselves needing to find indoor play areas for the kids to burn off some energy! Whether we have time to kill in our itinerary or we’ve needed to find a kid-friendly, halfway point to meet a friend, these spots have come in handy over the last few years! 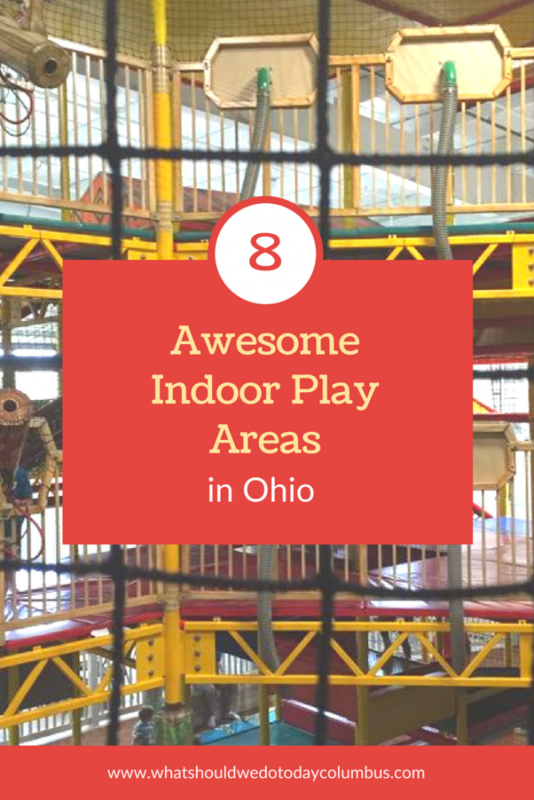 Any of these play areas would also make for a fun road trip if you’re looking to do something new around Ohio! 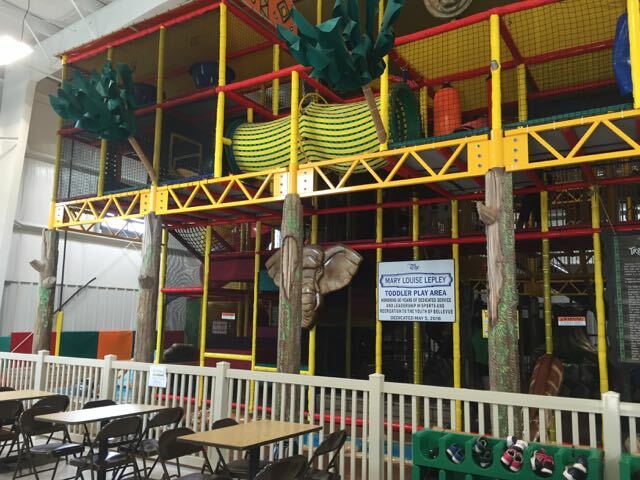 Jungle Junction is the largest indoor play structure in Ohio! 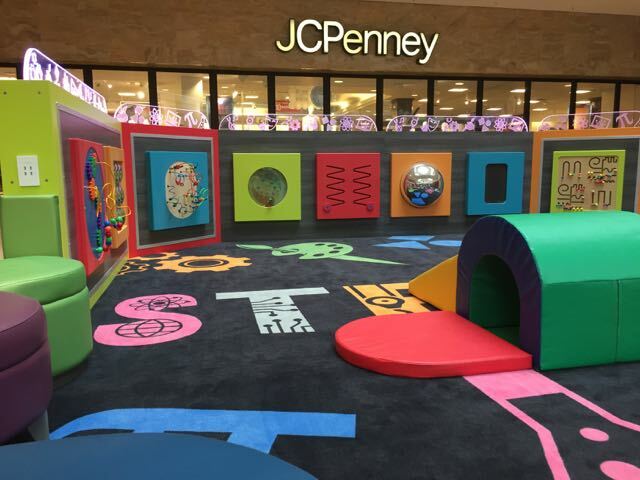 The play area is designed for kids ages 12 and under and includes a separate area on the side just for toddlers. 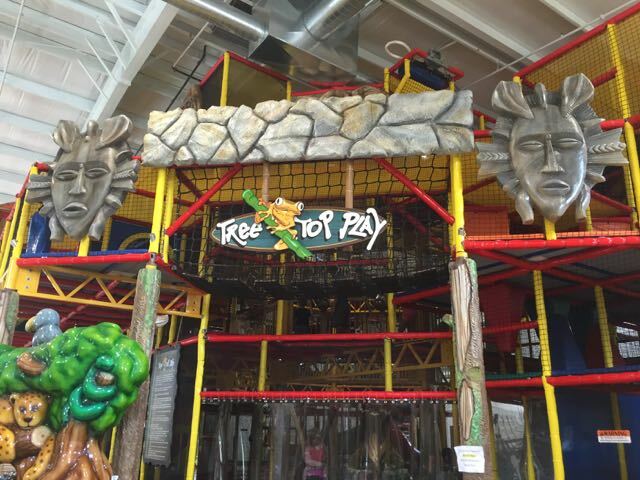 Inside the Tree Top Play area there are climbing structures, slides and tunnels. There are also air cannons that shoot plastic balls all around the area. Kids must wear socks when playing inside and socks are available for purchase if you forget! Admission is for the day, so you can come and go with a stamp on your hand. There is no charge for parents/caregivers or children under age 1 (as of May, 2017). 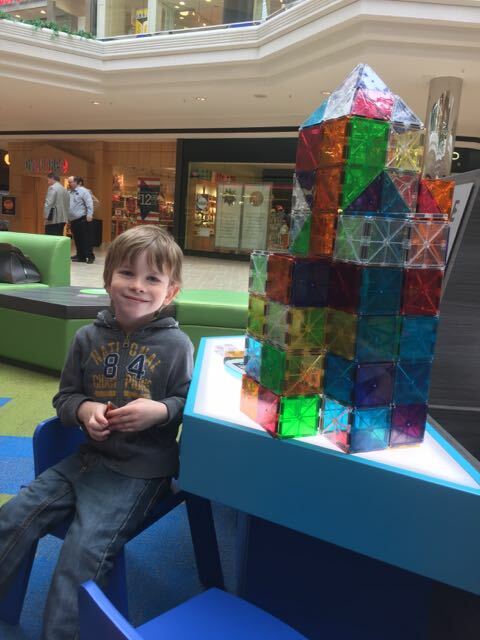 If you’re looking for more things to do while you’re in the area, check out: Exploring Ohio with Kids: Bellevue. There’s a great train museum in town, too! 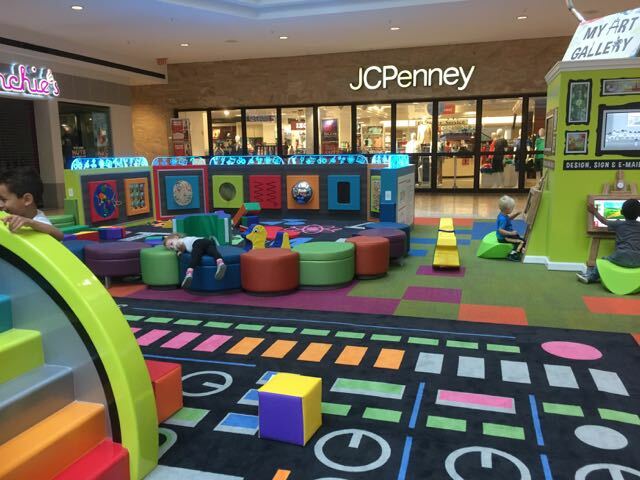 This play area in Wayne County, Ohio offers something for all ages! 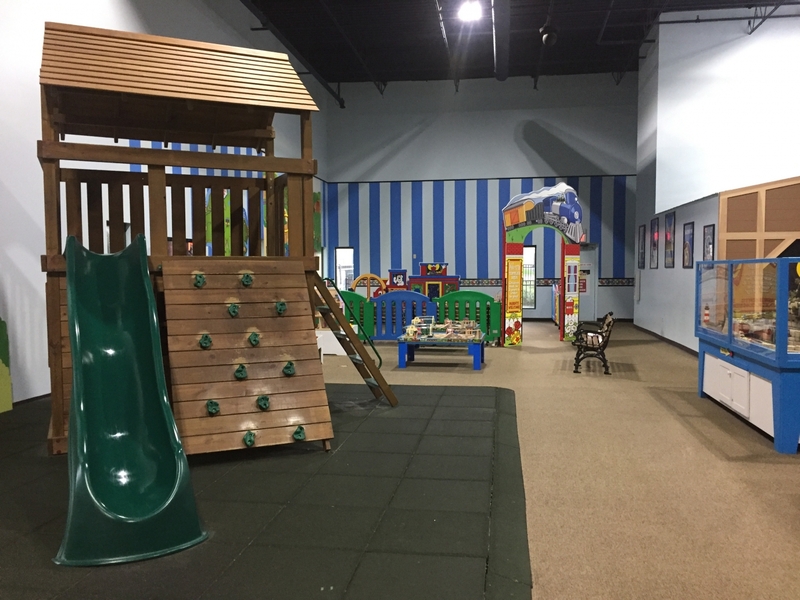 On the first floor, the space is dedicated to the younger kids and includes a train table, puzzles, blocks, ride on cars balls, bouncy houses and more! A limited selection of snacks and drinks are available for sale, too and there is a small seating area where you can eat them. 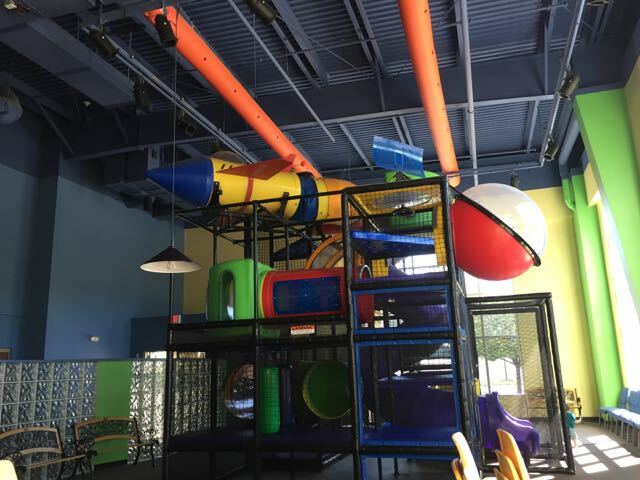 This indoor play area is specifically for kids ages 6 and under and it features kid-sized roller coasters, a ball pit, rock climbing wall, blocks, a train table and lots of opportunities for imaginative play! 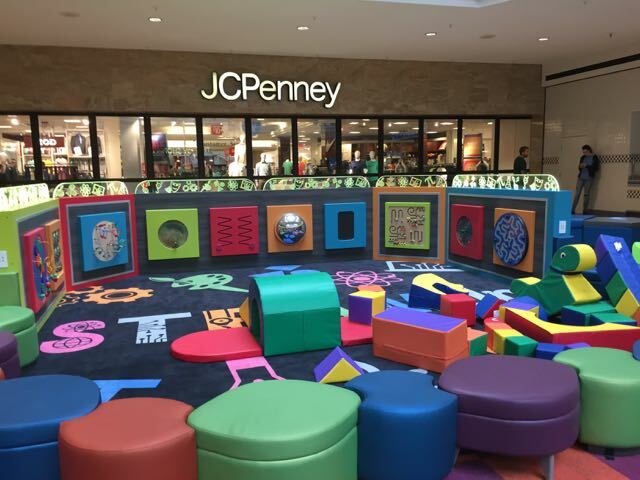 There is also a “coffee area” where adult can sit with a full view of the play area. 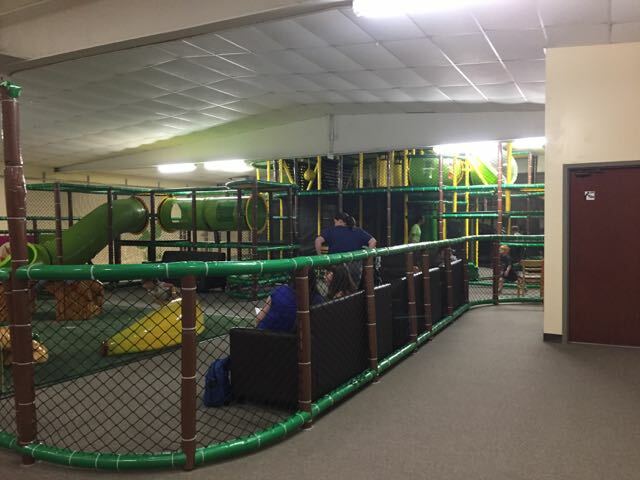 Snacks are not allowed in the play area but there is a separate room used for parties where you can eat food that you bring in or you can purchase snacks and drinks on site. 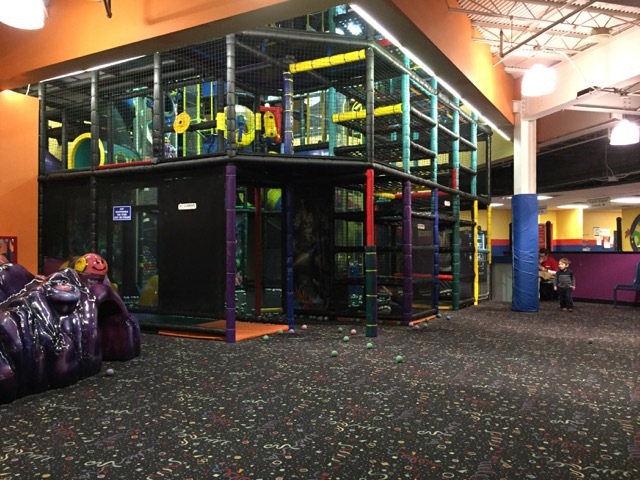 This is a large indoor playground in Grove City and the best part is, it’s free! 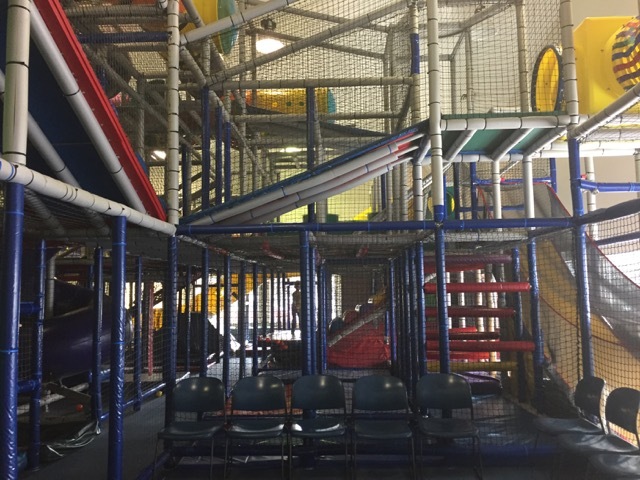 There is a large climbing area and also a small sectioned off area for babies and toddlers! You must remove your shoes to play and wear socks. Socks can be purchased for $1 if you forget. 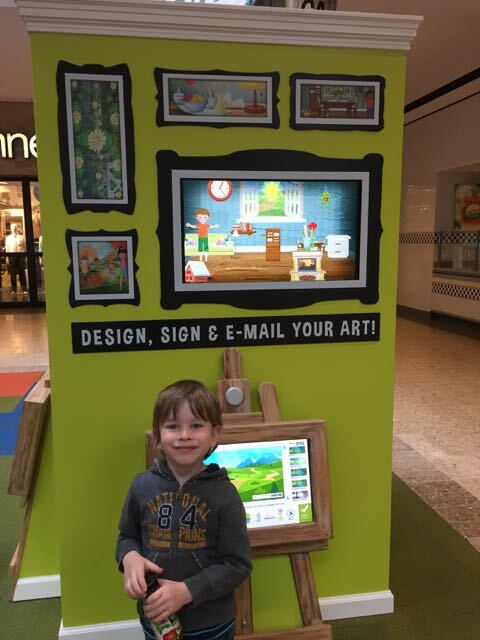 There is a story time with crafts one morning a week (check the link for details)! You can also register online before your first visit to save time. Outside of the play area, there is a cafe where you can purchase food or eat your own packed lunch. There is lots of seating! 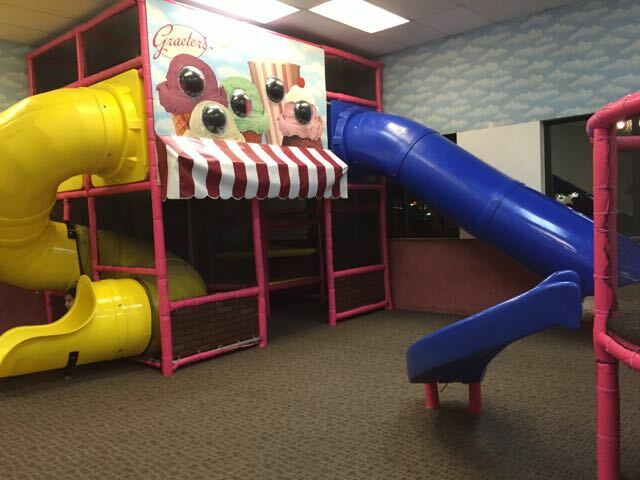 This play area is located inside one of Ohio’s most famous ice cream shops: Graeters! 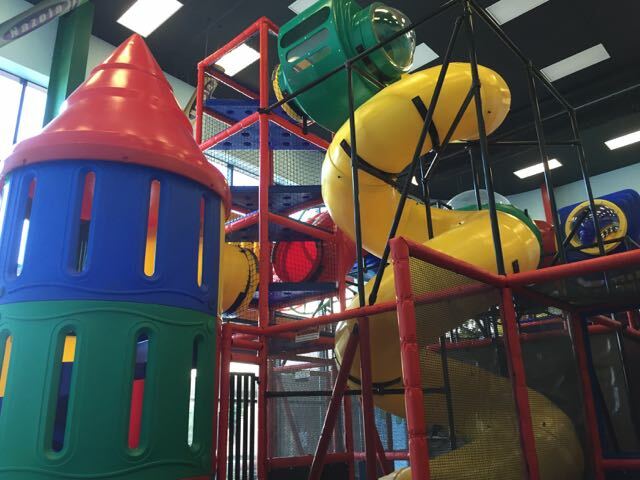 The indoor play area includes a climbing gym, a teeter toter, slides, basketball hoops and balls! You must remove your shoes to play and wear socks. Socks are available for purchase here if you forget. The store was once a factory location, and although there’s not a whole lot to see here anymore in terms of production, there are a lot of pictures and descriptions on the walls about the history of Graeters. 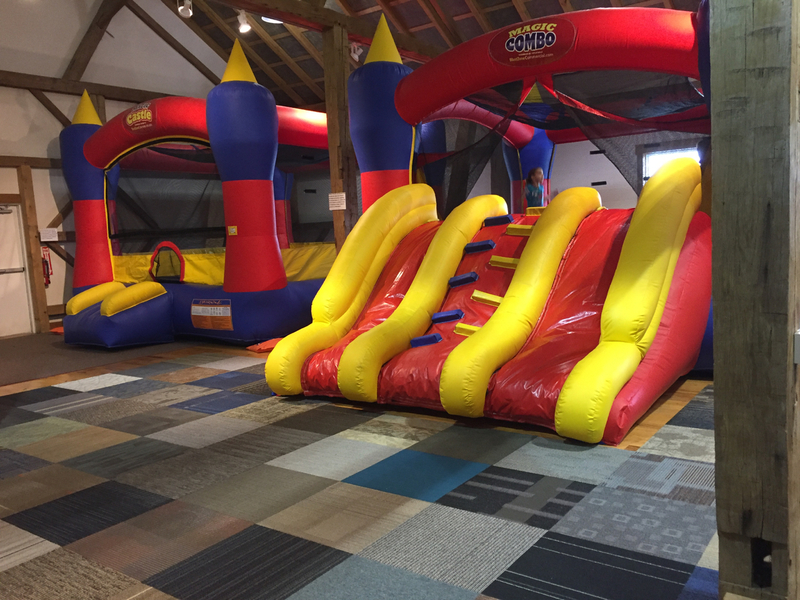 There is also a party room for rent here where kids can have birthday parties. Inside Fun in the Jungle there is a large indoor play area that includes a soft play zone for toddlers. 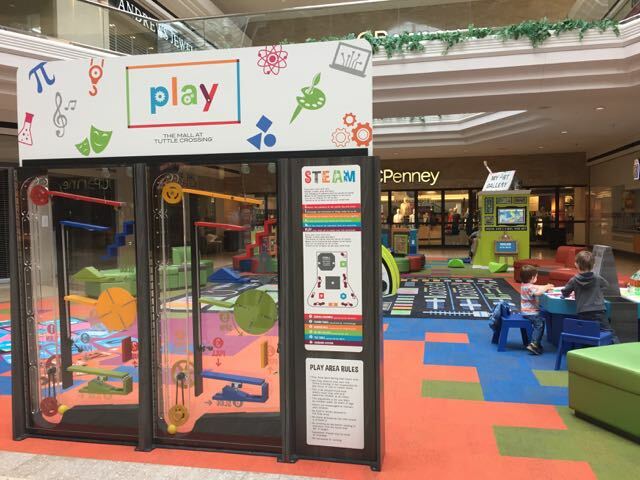 For older kids, there is mini bowling, virtual reality games and arcade games. There is also a cafe here where you can get food and drinks. 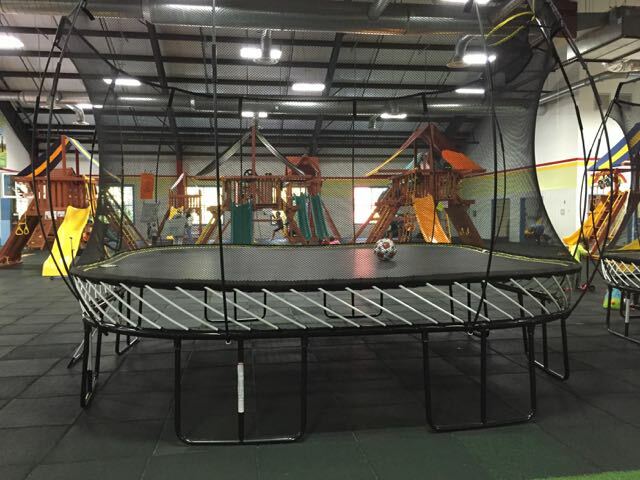 Check the link for toddler time hours and prices if you have younger kids! 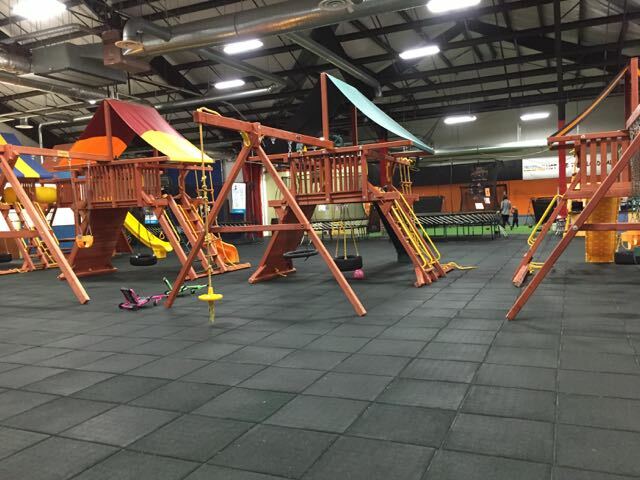 This is a huge indoor play area just north of Cincinnati that includes several different play areas! 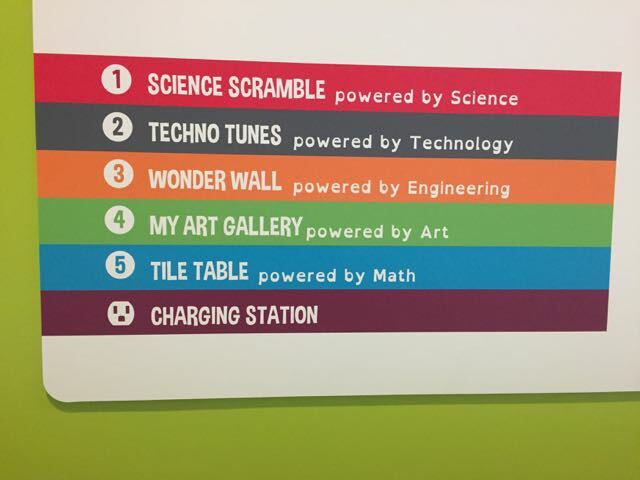 There is a large climbing gym, a space with LEGOS, a space with blocks, a separate area with a play kitchen and a space for life sized building blocks. 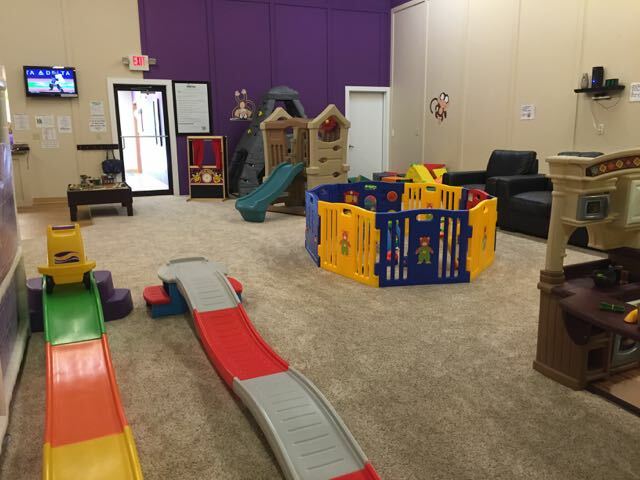 Each area is sectioned off by theme by short divider walls and there is a completely separate room just for toddlers! There is a coffee shop cafe here with a seating area and there is also a really large seating area for parents. Inside EnterTRAINment Junction is Imagination Junction, a play area for kids! There is a large climbing structure, a train to play on, an electric train to ride and two small model train displays. 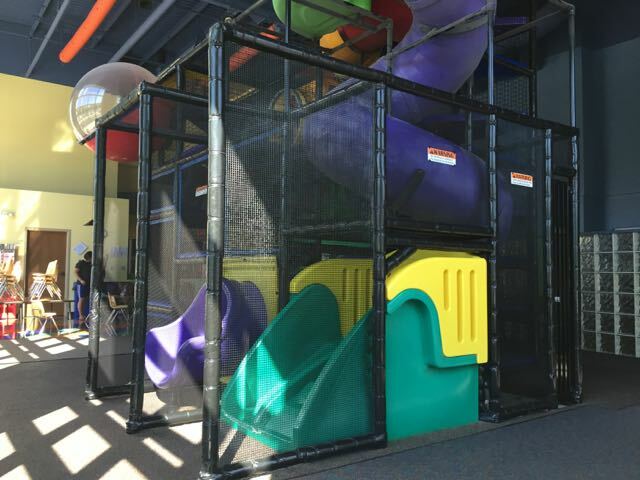 There is also a play structure with a slide and a separate area just for toddlers. Socks are required to play here and are available for purchase if you forget! This play area is included with admission to EnterTRAINment Junction, which is home to the largest train display in the world! EnterTRAINment Junction is a destination in itself! 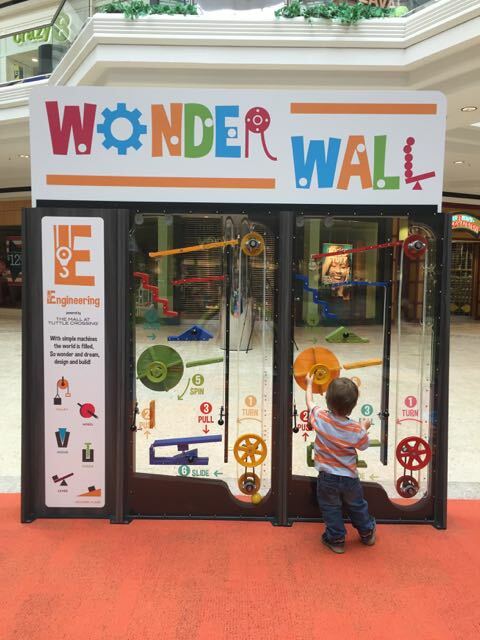 Read all about it here: Fun for the Whole Family at EnterTRAINment Junction! 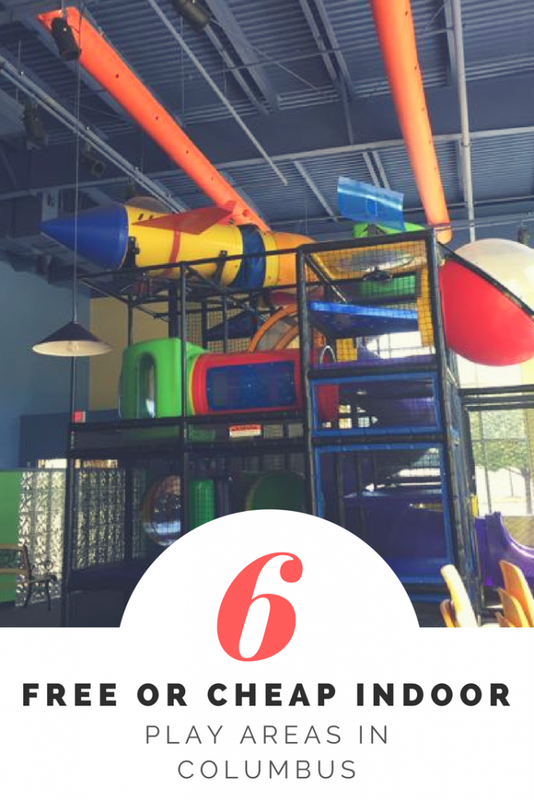 Make sure to check out 6 Super Fun Things to do with Kids in Butler County, Ohio while you’re there (including the Butler County Donut Trail)! 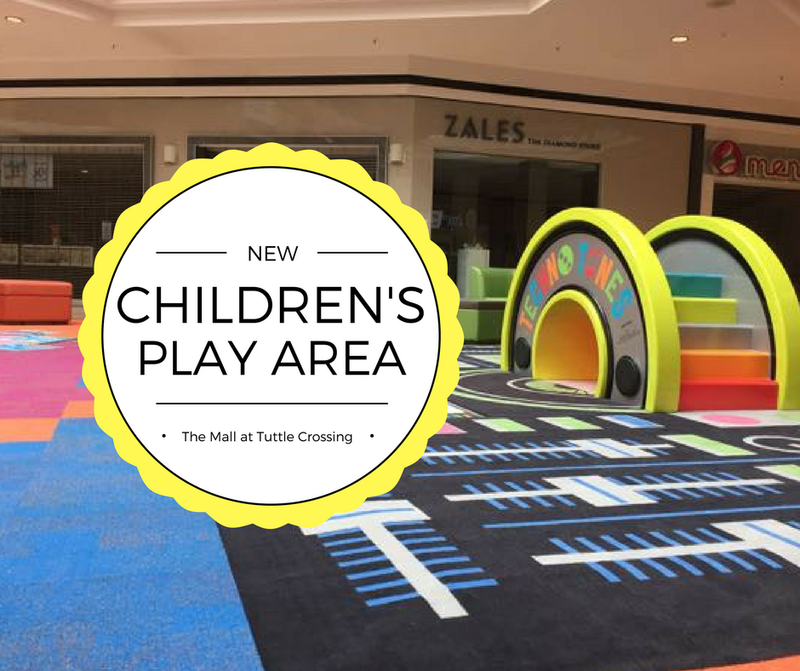 Feel free to list any other great indoor play areas that you and your family enjoy around Ohio to share ideas with other readers! 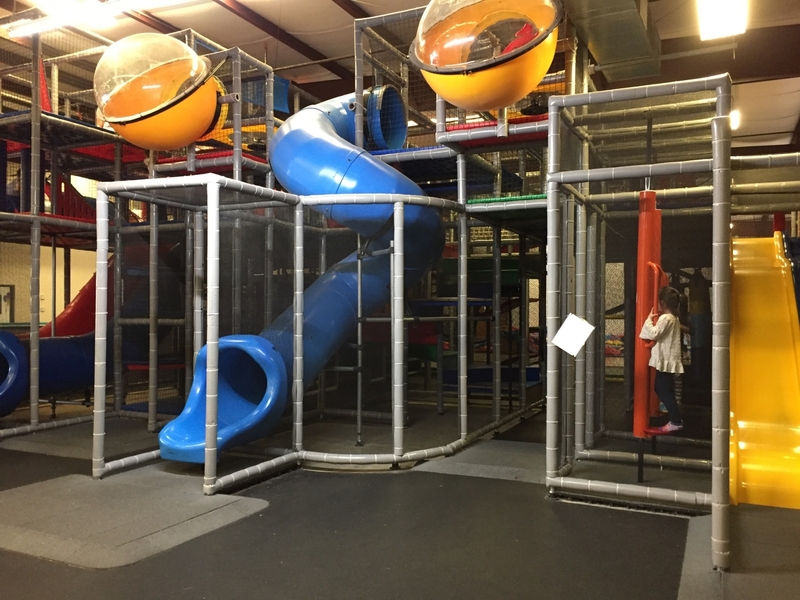 These 6 indoor play areas offer free or inexpensive options for getting out all that pent up energy when it’s cold or rainy! 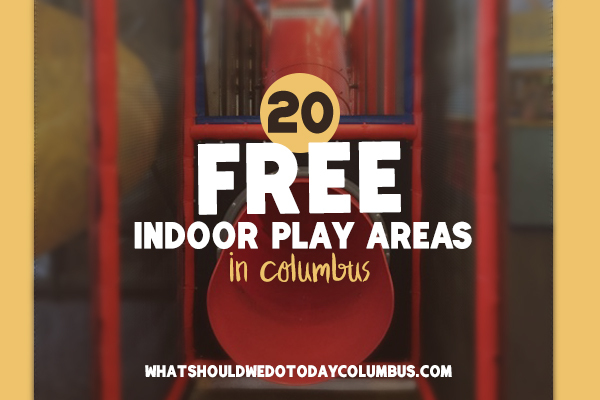 There are lots of places to play inside in Columbus – for that we are extremely thankful come winter! So many of them are free (see a list of over 20 here!) and we also have our fair share of fun play cafes (see a complete list here!) 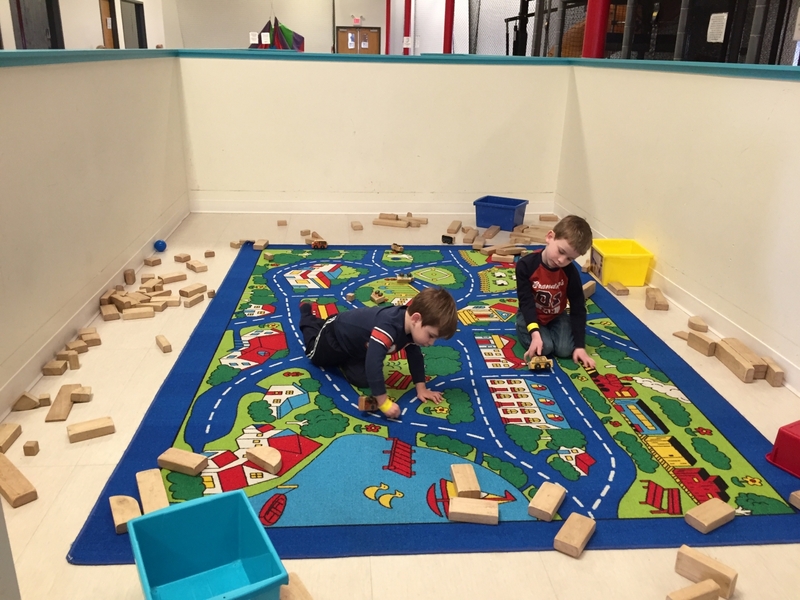 but this list is about places where kids can really run and play – places for LARGE muscle movement and getting out all the pent up energy that threatens to explode after being stuck inside in sub zero temperatures! 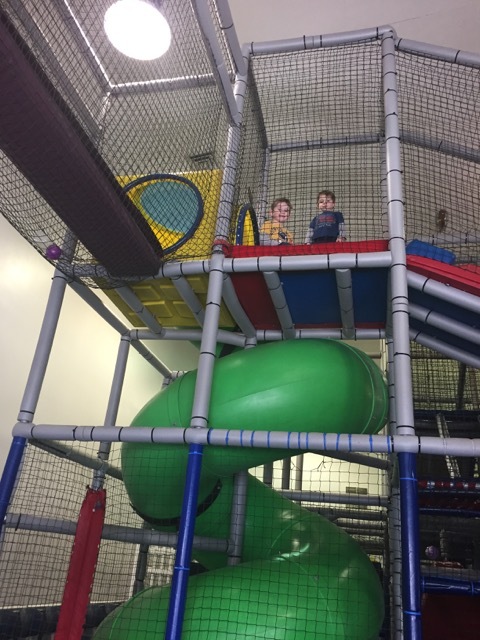 As my kids transition from toddler play to big kid play, I’m finding the answer to What Should We Do Today? requires a little closer assessment of their current energy level. There are lots of things we could do indoors, but some days they really need a space where they can run, jump, slide and climb! These 6 places accomplish just that and, if you play your cards right, they don’t break the bank! 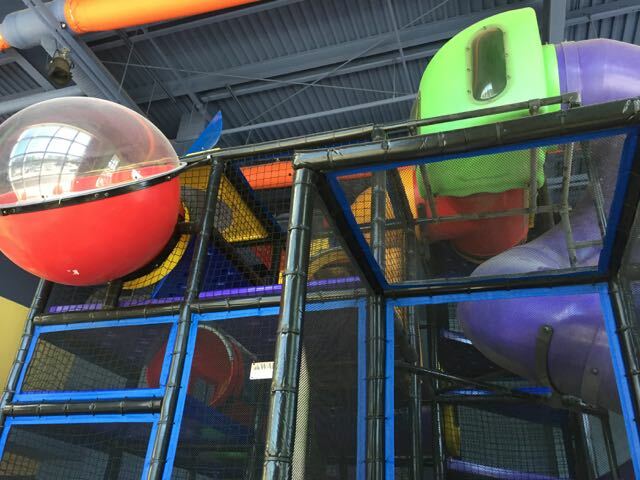 😉 All of these places are FREE or less (some way less) than $8/kid! 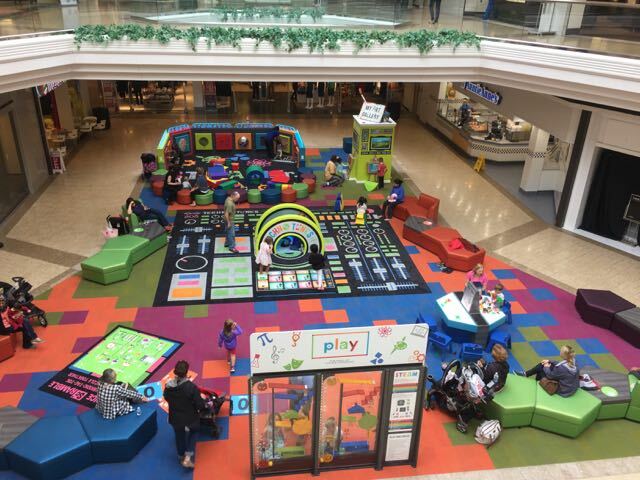 This play area is open mid September through May: Tuesdays and Thursdays from 10:00 AM – 11:25 AM, Saturdays 10:00 AM – 11:30AM. 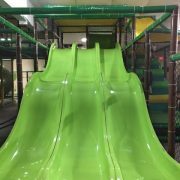 It has an indoor climbing area including slides and a rock climbing area. Shoes must be removed for play! 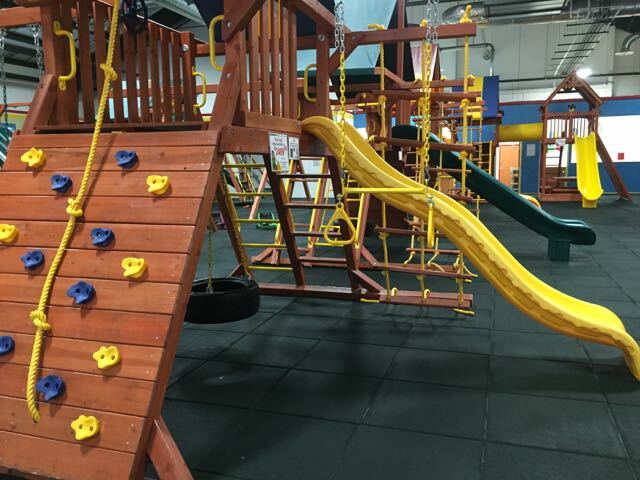 This indoor play area has lots of opportunity for climbing, sliding and large muscle movement! Shoes must be removed and socks worn for play. Socks can be purchased for $1. There is a story time with crafts on Tuesday mornings! You can also register online before your first visit to save time! Outside the play area there is a cafe where you can purchase food and lots of seating! 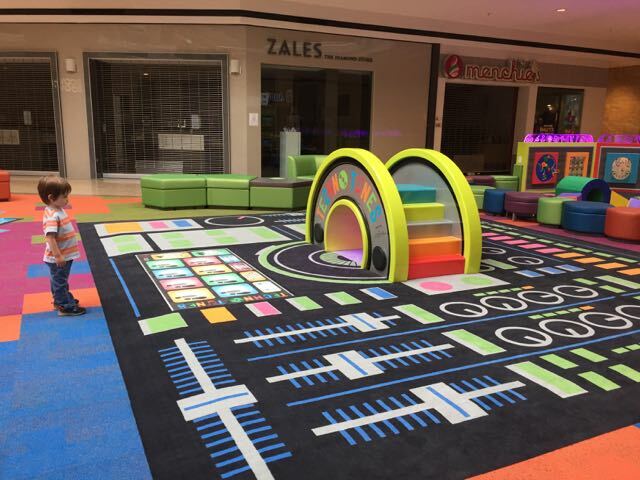 This play equipment showroom features an area for kids to play during select hours. 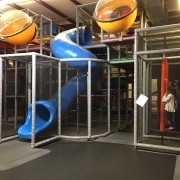 It includes large indoor play area features play equipment like slides, swings, climbing, etc., small soccer field, basketball hoops, play houses, trampolines and more. 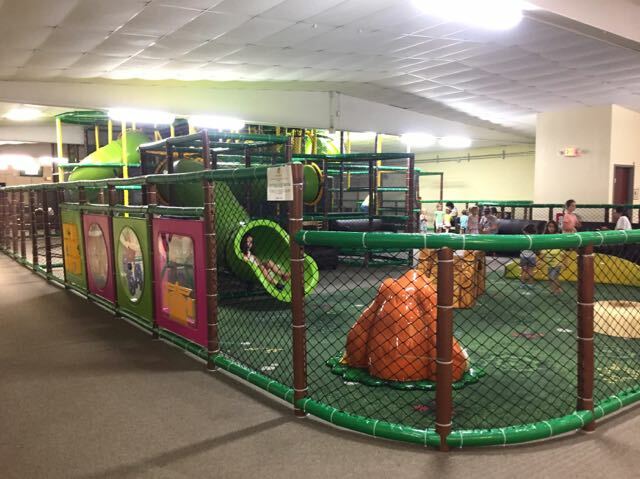 Price: Monday-Friday: $6/child ages 1 and up for 2 hours of play, Weekends: $8/child ages 1 and up for 2 hours of play, School Holidays: $8/child ages 1 and up for 2 hours of play. 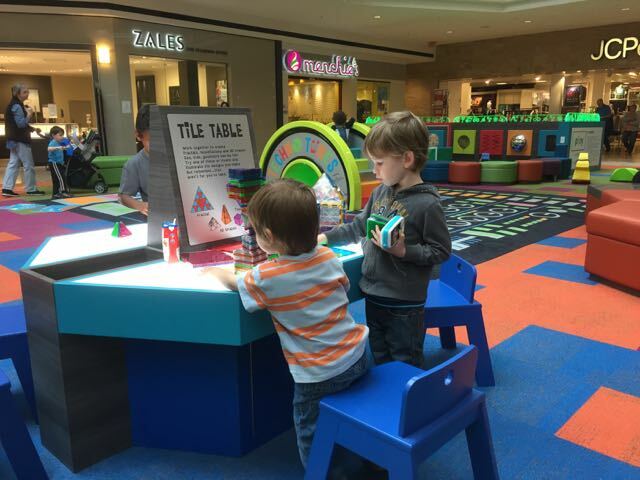 Charitable play happens on Tuesday, Wednesday and Thursday from 9:00 AM – 11:00 AM for a donation of $2/child. Donations are given to local non-profit organizations. More Details: See $2 Tuesdays: Recreations Outlet, Columbus Zoo and Tacos! 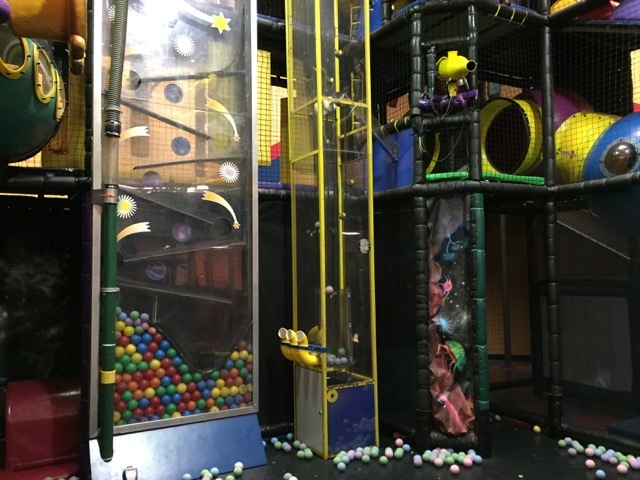 The FunGym at Galaxy Games and Golf includes ball pits, climbing, slides, tunnels and more. 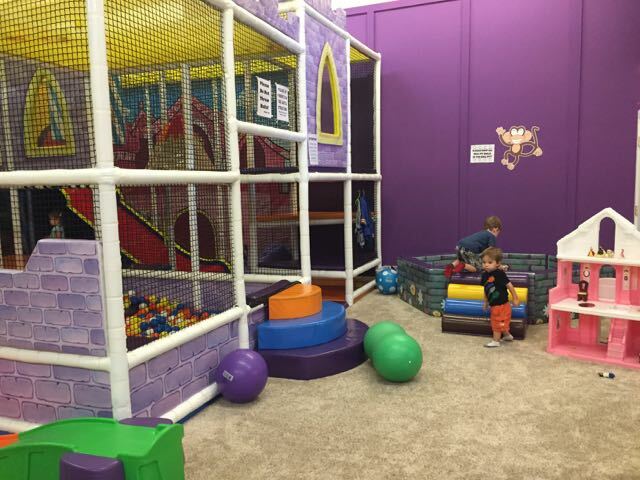 There is also a toddler area with a play house, ball pit and ride-on toys. 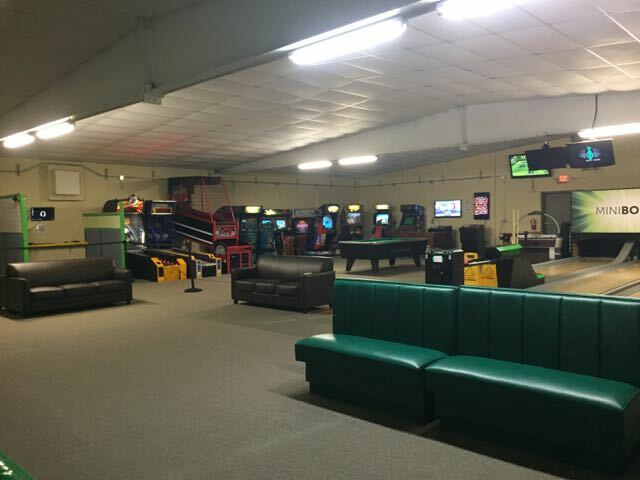 The whole facility also includes mini-golf, an arcade and party rooms. 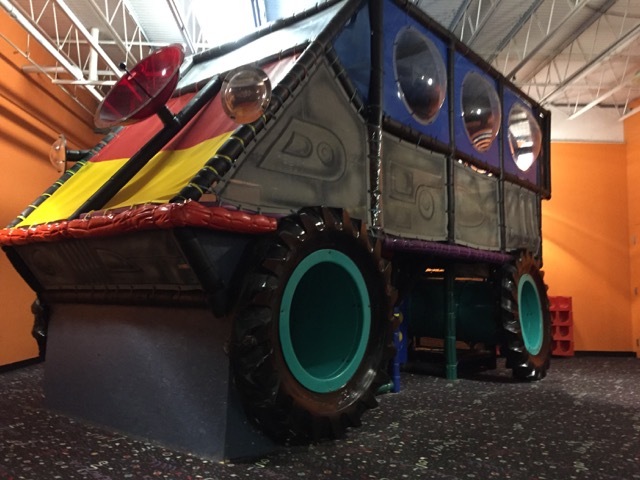 Besides all of the outdoor activities and arcade, Magic Mountain offers an indoor KidsGym Playland. 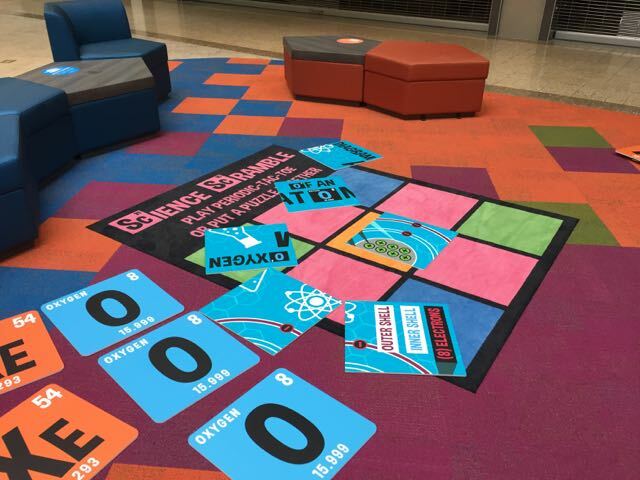 (These pictures are from the Polaris location.) 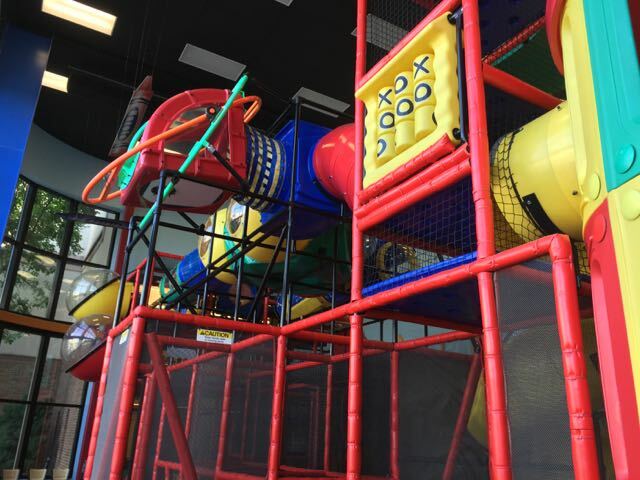 The Playland is for kids 58 inches and under and includes a climbing gym with interactive elements and smaller climbing elements for toddlers. 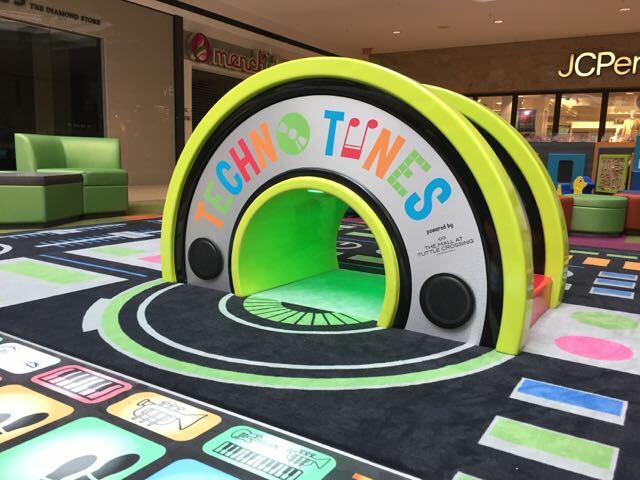 Price: Ages 3 and up: $5 on weekdays and $6.50 on weekends Kids under age 3: $3 Toddler Thursdays: $2.50/child from 10:00 AM – 2:00 PM. Labor Day through Memorial Day you can purchase a season pass for $35/person ($15 for additional siblings). 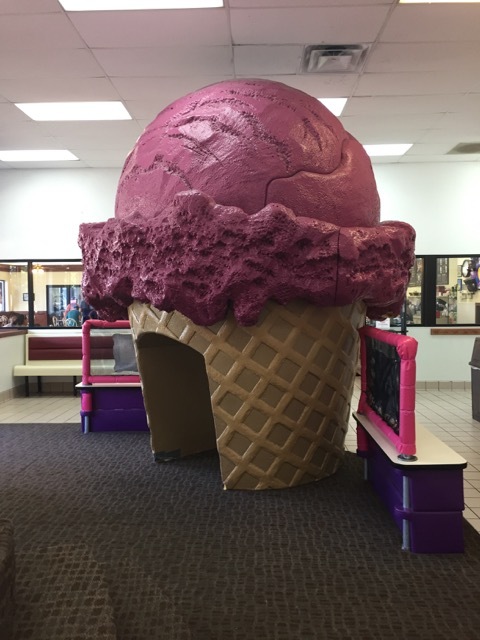 Pass offers admission 7 days a week plus special discounts on additional add ons such as $1 off a kids combo meal. 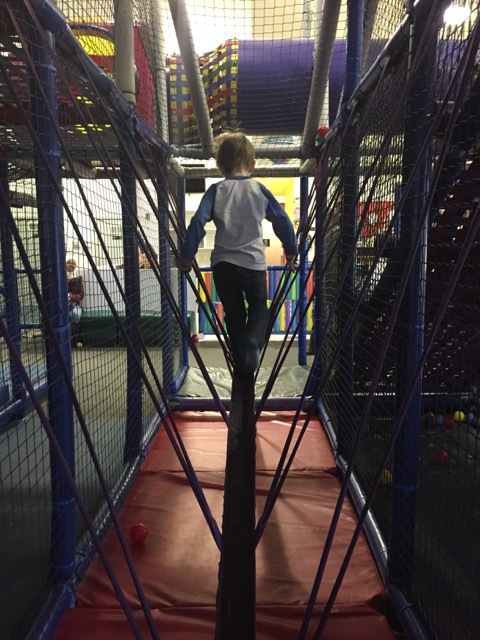 Inside Fun in the Jungle there is a large indoor play area, toddler soft play zone, mini bowling, virtual reality games, cafe with food and drinks, arcade games and room for parties. 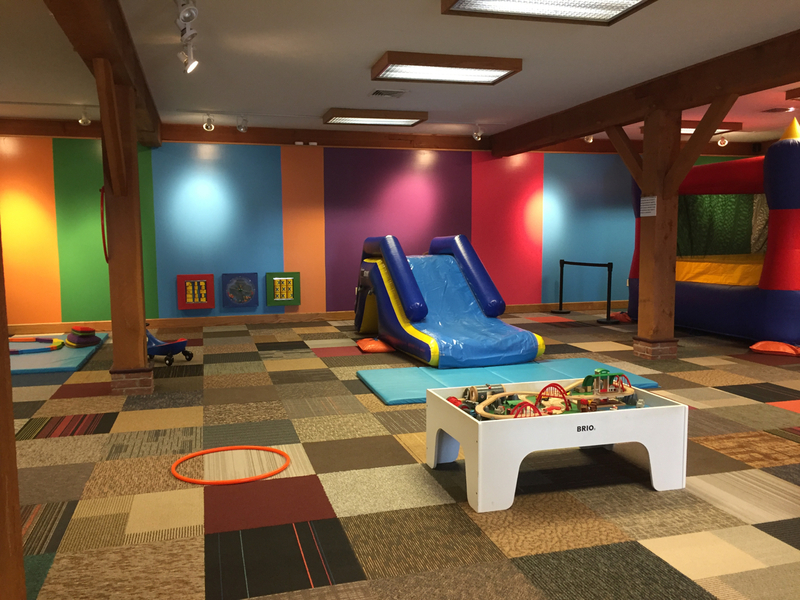 There are special needs sensory hours on the first Sunday of each month. 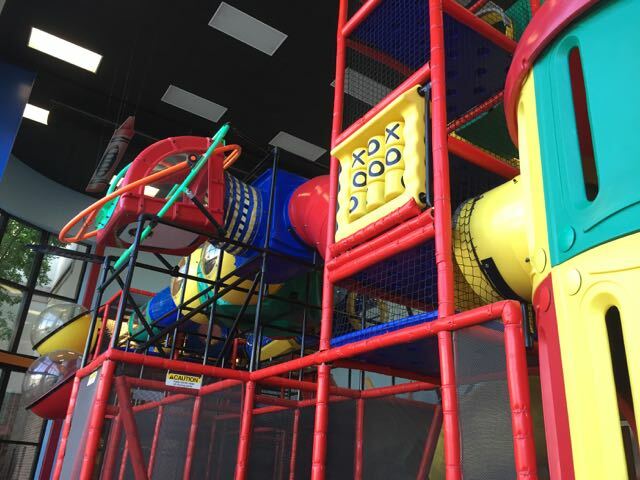 Price: Play place (for ages 0-10): $7/child for all day, Kids 2 and under are $2 during the week and $4 on the weekend, Additional costs for bowling, arcade and virtual reality. Keep an eye on their social media pages for specials throughout the week!